Timothy Pitsch has 10 years of experience in information systems, IT coordination, network operations, and support desks. 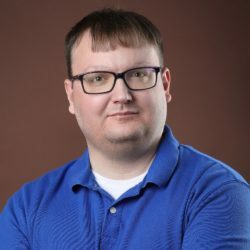 As JBA’s IT coordinator, he manages the company’s user accounts, access controls, software licenses, hardware inventory, server management, and data security. He also provides end user support for company computers and devices. Pitsch served as a data network specialist in the U.S. Marine Corps from 2007 to 2011. He has also worked at TEKsystems and L3 Technologies (formerly L-3 Communications). He received an A.A. in information systems from Northern Virginia Community College.